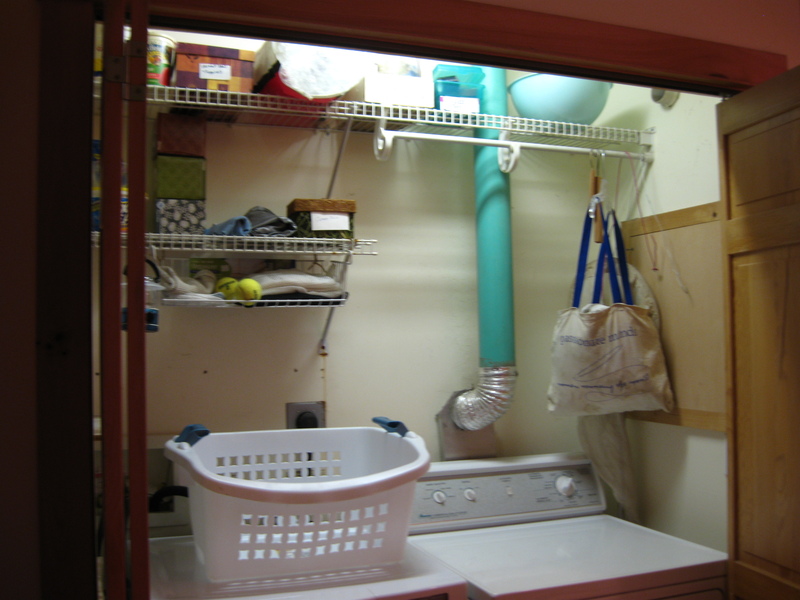 Laundry Room – De-clutter Me! Well, not really, but it was a rainy afternoon, perfect for de-cluttering! Suzanne is busy. 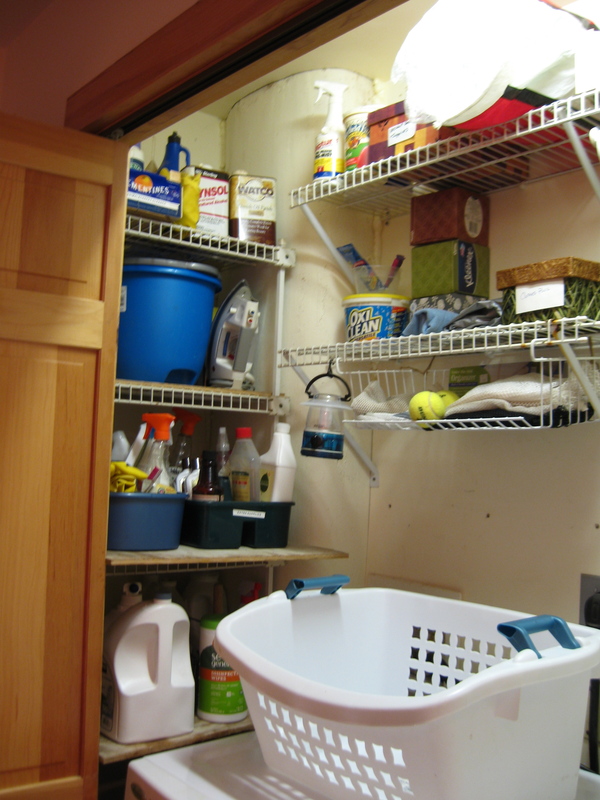 A wife, mother, and professional worker, she needed a push from a professional organizer. Several areas “called out” for help. As often is the case, I asked what was bugging her most. 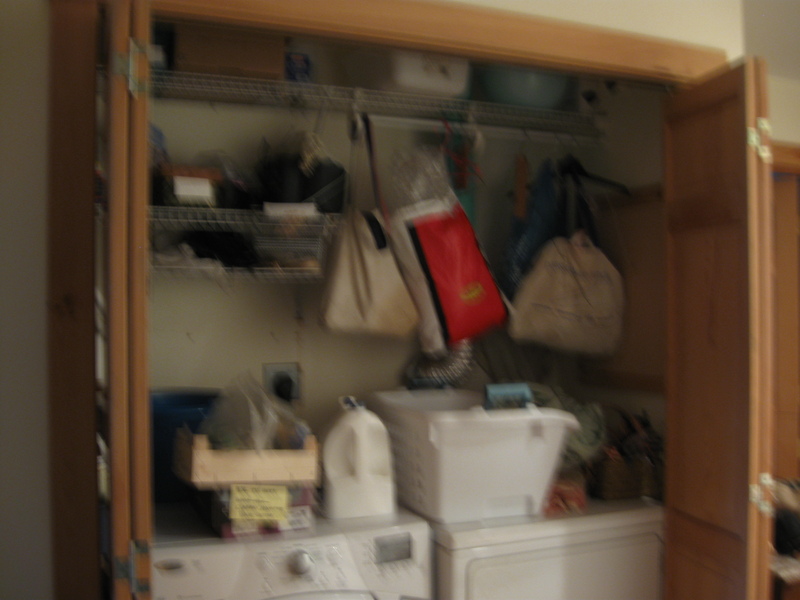 Her quick response – the laundry area. It could use some reorganization. We worked top to bottom, placing on the top shelves items she would want to have handy, but wouldn’t need often. Lower and in the “most valuable real estate” – others she uses more. Why the tennis balls? They’re great in the dryer, with down-filled jackets and vests. They bounce around, returning “puff” to washed clothes. What was also bugging her? 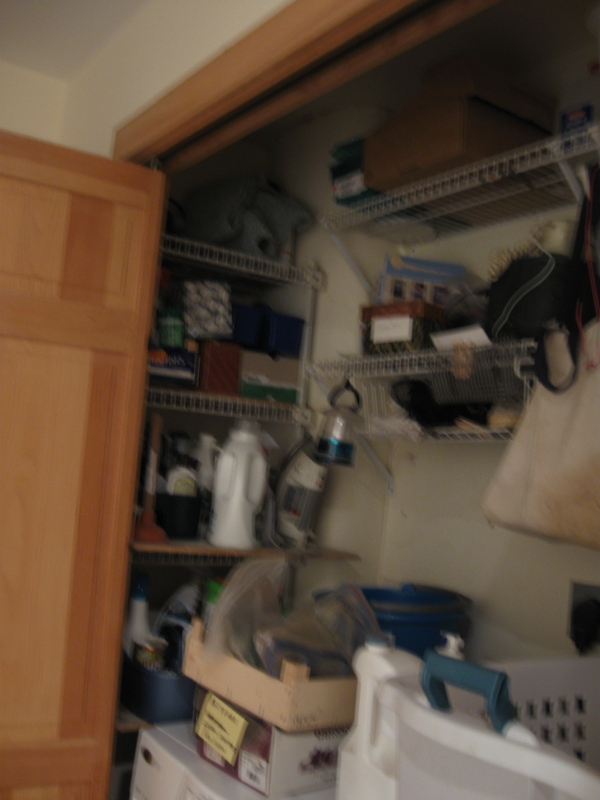 Next, the linen closet. Again working top to bottom, we first purged from the top shelf. It held more wrapping paper and gift bags than really needed. 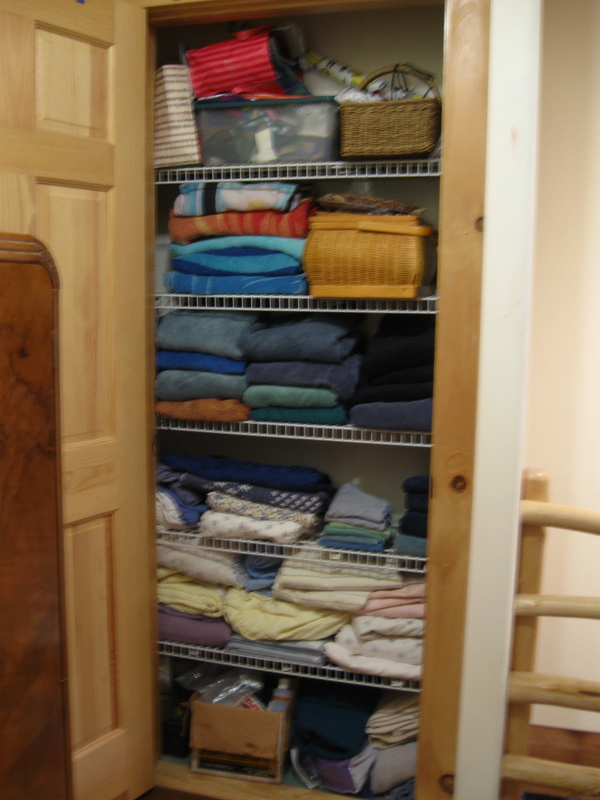 We thinned that collection, then spent some time on lower shelves, refolding towels, so that their folds face out. 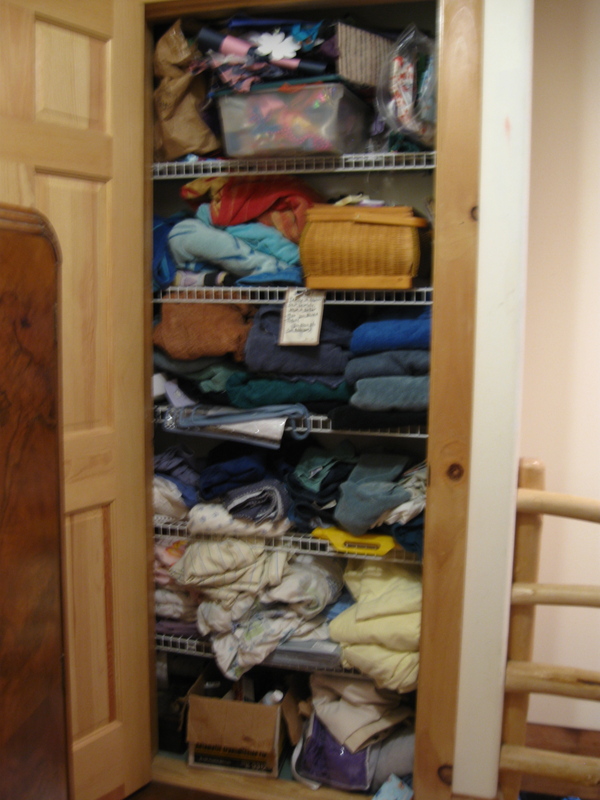 A small gesture, but it makes the closet look neater and easier on the eye. (Also, as written elsewhere on this website, physical clutter = mental clutter.) We also matched bedding. This was especially important, because everyone in the household does his or her own laundry. Returning bedclothes to the closet would be easier. With our remaining time, we tamed and moved some electrical cords in her office. Looking relieved when our session ended, Suzanne said that I had been a catalyst for her to continue with some smaller projects that wouldn’t need my help. Success!